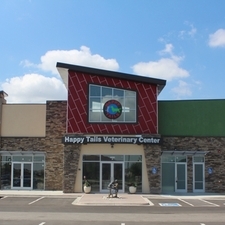 Large enough to accomodate all your veterinary medical needs. 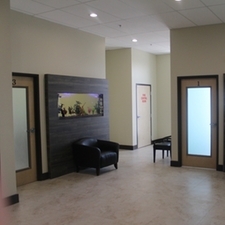 Serene environment for you and the patients! 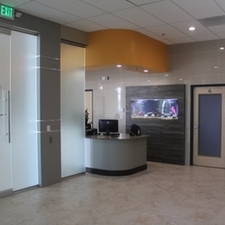 Who says veterinary offices are loud and smelly? We will change their minds in a heartbeat!! Feels like you are in a spa!! You'll want to stay longer and hang out in our facility....but sorry your pet is ready to go!!! 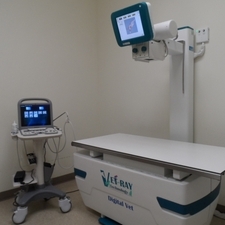 Digital Radiology, Ultrasound scanner. You name it, we got it here. 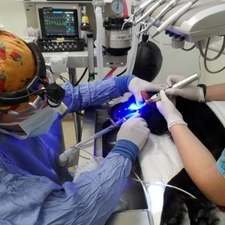 This is an actual picture of our doctors taking care of a pets dental needs, human grade!! 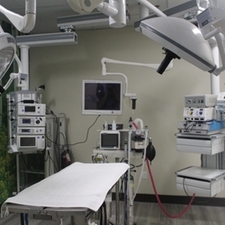 Our surgery suite is the most advanced in the industry to ensure the safety of your pet and hign quality care. 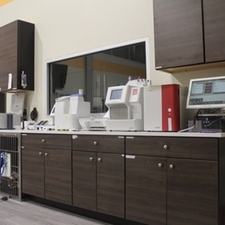 Every test is done right here, in house, in just in couple minutes to ensure your pet receives appropriate medical care at the earliest possible time!! 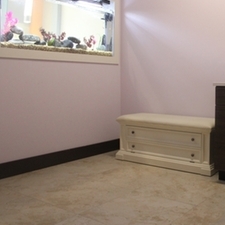 You will enjoy watching the beautiful tropical fish in the exam room while your pet receives excellent care.